The University of Limerick Students’ Union has voted in favour of campaigning to repeal the 8th amendment. The vote, which took place on Wednesday evening passed by a majority of 171 to 71 in favour of the Universities Student Union backing the campaign to repeal the 8th amendment. A total of 256 students from the University turned out for the vote. They were given the option of voting “yes” in favour of campaigning to repeal the 8th amendment, or “no” to keep the ULSU’s stance as neutral. This means that UL will join the likes of Trinity College Dublin, University College Dublin, The National University of Ireland Galway and University College Cork. The motion was brought forward by University of Limerick Students Megan Thornton and Edana Flynn. “The motion we have brought forward is to ensure that all students have access to proper healthcare and bodily autonomy,” she said. 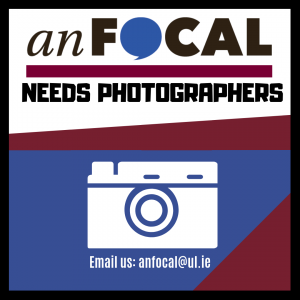 “The UL motto is “Eagna chun Gnímh” which means wisdom for action. It is the right of every student to have accurate information before making decisions that could change their lives and while the ULSU holds a neutral stance this is not possible,” she went on. 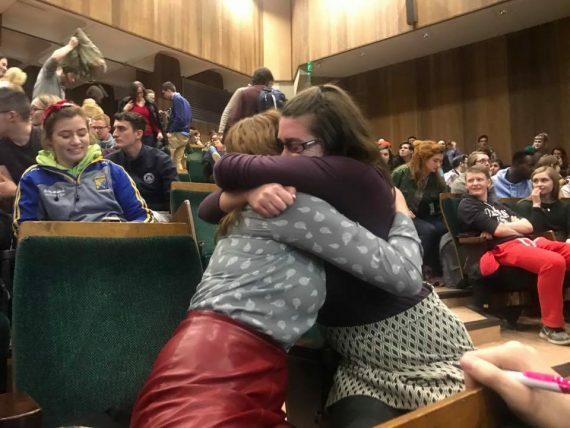 During an emotional speech, Edana Flynn said they were there for any students who have had to face abortions alone and for those who will have to face them in the future, and for anyone the law has affected. President University of Limerick Students’ Union, Jack Shelly, gave his view on the outcome. “Personally, I would have preferred if we remained neutral. I think taking a stance on this issue will isolate a certain amount of students no matter what stance we take,” he said. Mr. Shelly believes that a better solution would have been to educate students on what a yes and no vote would mean in the upcoming national referendum. However Mr. Shelly says that the students went through the right means to get the vote passed, and he will continue to do his duty as ULSU President. “That motion was passed by majority vote and it is now my job to represent and to work on what students have voted for,” he said. Roberta Harrington who is the Welfare Officer for the ULSU also gave her opinion on the vote. “Personally I voted against the motion, for ULSU to remain neutral on the topic of abortion. “As an elected student representative, however, my own personal views are put to the side and I represent the students in their combined views and opinions. That’s how student unions work,” she said. Ms. Harrington’s current role puts her in a position that means she often helps students with a situation such as unplanned pregnancies, she is worried the ULSU stance may affect her role. “Naturally I fear that students who wish to remain neutral or students who are pro-life will no longer see the SU as a safe haven and the support we can give to them will be bypassed. “Often for students, the union is the only solidarity they have – and I fear a large cohort of students will now feel isolated and unwilling to engage in an organisation that provides amazing supports and structures to all its members,” she said.